A sea of red and yellow stretches as far as my eyes can see as throngs of Spaniards and aficiondos alike line the long sidewalks of Gran Vía, Madrid’s main thoroughfare. 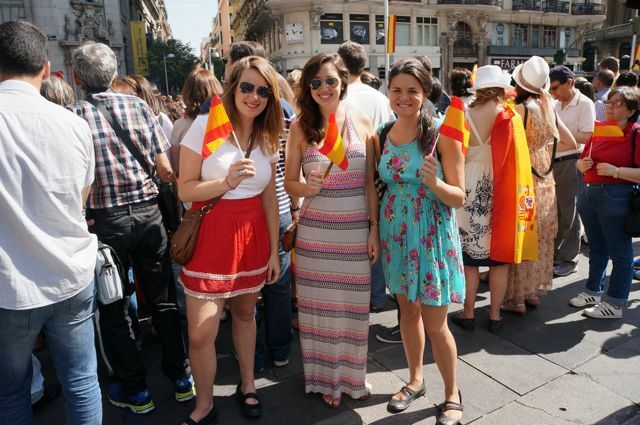 We quietly stand under the hot sun waving our plastic Spanish flags and wait for the newly crowned King Felipe VI to pass. 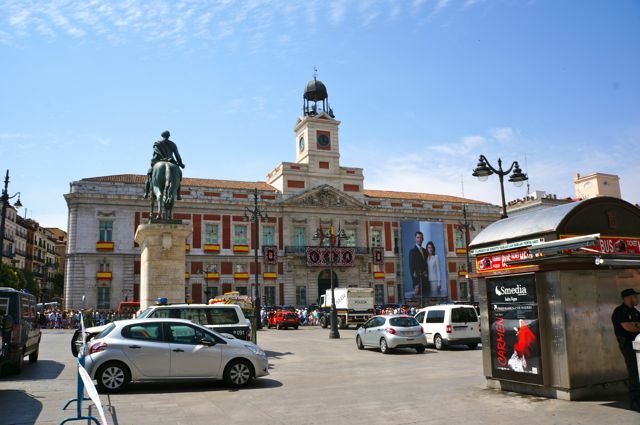 The streets are quiet, surprising for Madrid, and then all at once erupt with noise as scores of men in military uniforms stride by on elegant horses. “Wow. We are definitely in Europe,” my friend Michelle remarks, in awe of the impressive uniforms that seem straight out of the pages of a history book. The pages of future history books are being written right before us today. 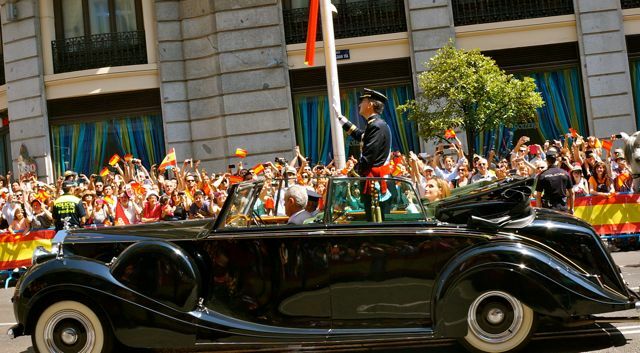 On June 2 former King Juan Carlos, 76, announced he would abdicate in favor of his son due to poor health. 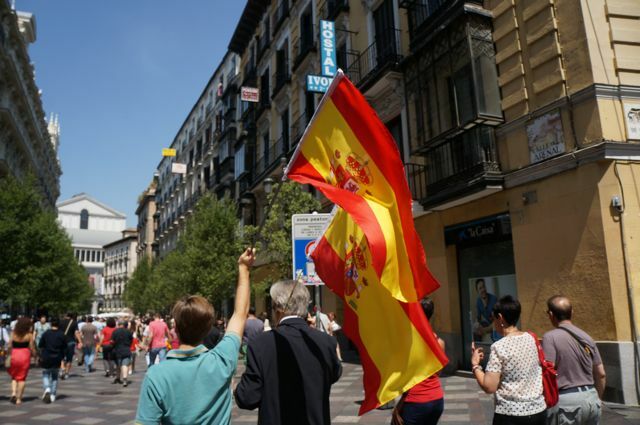 The Spanish Parliament moved quickly to adopt legal framework allowing for a June 19 handover. 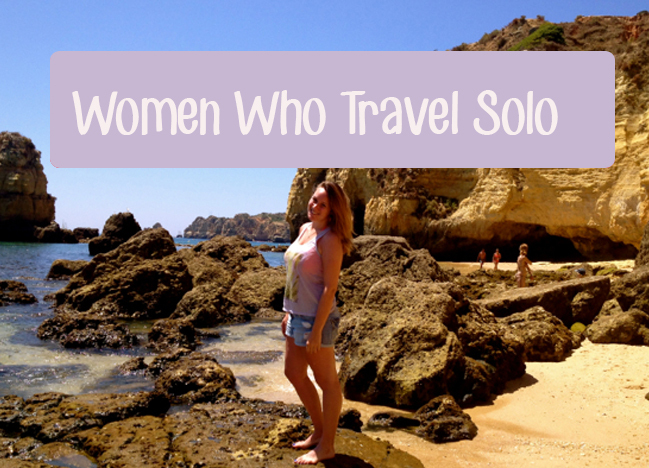 Such an abdication has not occurred in Spain since the 1800’s. 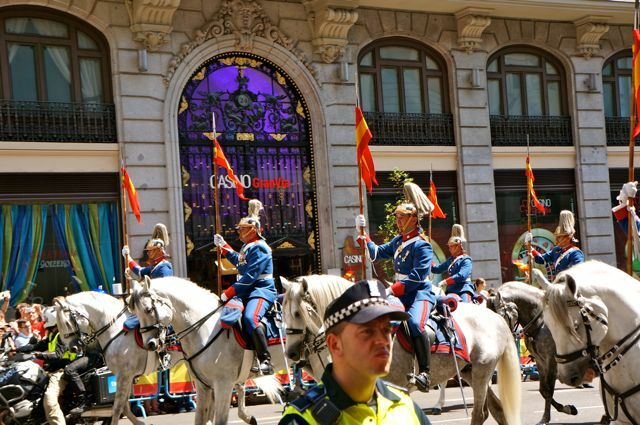 “Me encanta España” I scream over and over as the military procession continues. The elderly Spanish couple in front of me turn around to agree and thank me for loving their country. 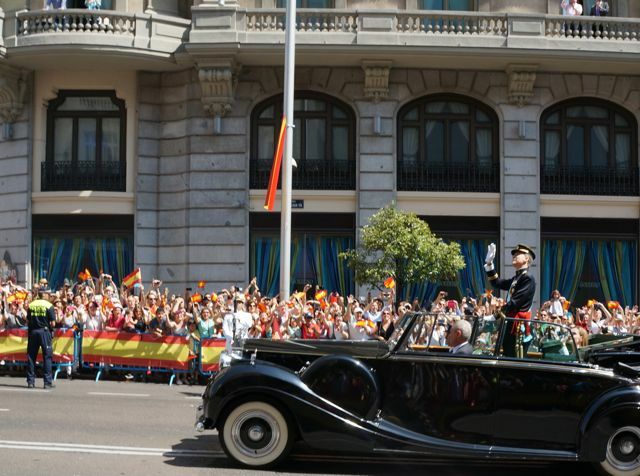 Suddenly and swiftly King Felipe VI is here, incredibly close, standing in an antique convertible and waving to the crowd while his wife, controversial Queen Letizia sits by his side, her beautiful face dressed with a sour expression. 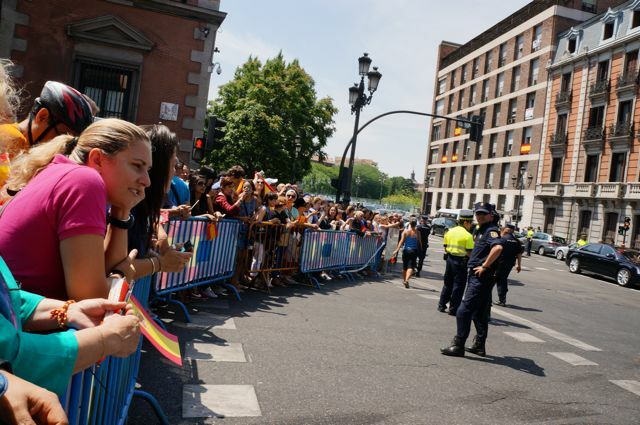 This is Coronation Day and this is Madrid and the excited crowd leaves Gran Vía and pushes on to Puerta del Sol, in hopes of catching another glimpse of the Royal Family, including the king’s two young daughters, during the promised balcony greeting in an hour at the Royal Palace. 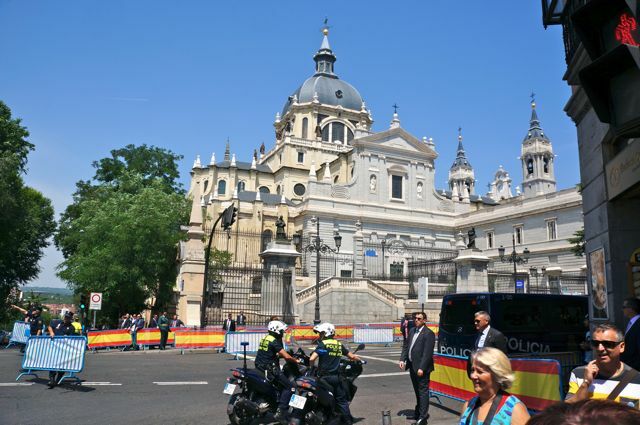 In Sol, the capital city’s main transportation hub, the metro entrances are shut and the plaza is blocked off by police cars and barriers, swarming with deliciously handsome Spanish police officers. 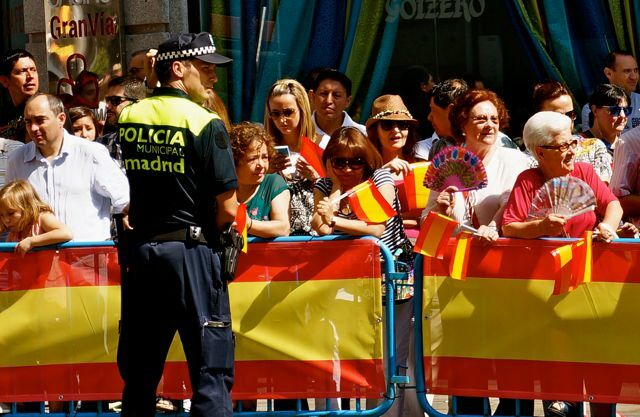 This protection is here because the monarchy is not all popular in Spain. On the contrary, the monarchy is a topic that deeply divides the country and many would like to see it replaced by a true republic form of government. 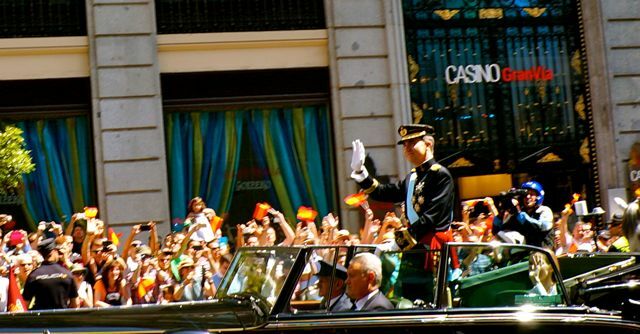 Spain’s economic crisis, which has lasted since 2008, has only deepened bitterness toward the royal family. 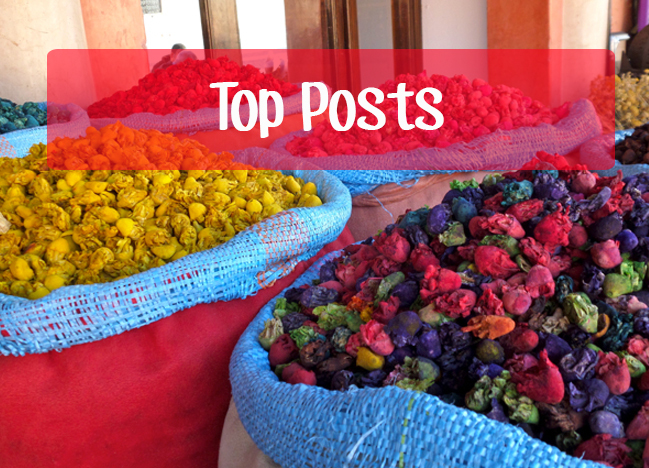 With these feelings in mind, the Coronation Day festivities were highly toned down. The government also made anti-monarchy protests illegal today and deployed 6,700 police to the city to prevent disruptions. Yet in Sol a small group of Republican supporters gather and wave the red-yellow-purple bands on their flag. But the protestors don’t affect the mood of the crowds. Everyone smiles and pushes on, stopping only to take photos in front of the giant picture of the new monarchs which hangs on the clock tower. 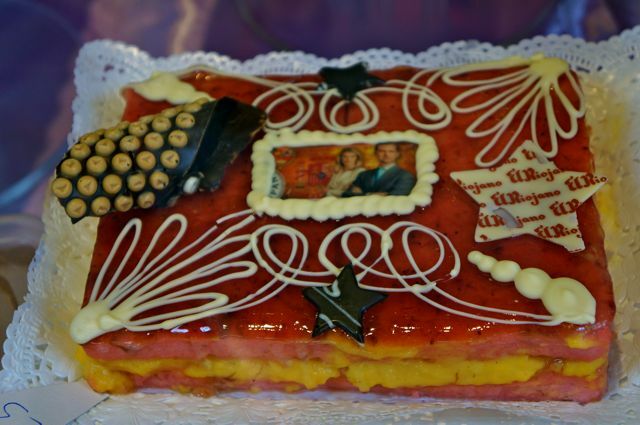 The streets are overflowing with people, posters of the new king hang in shop windows and every bakery has its own unique cake on display to celebrate the occasion. 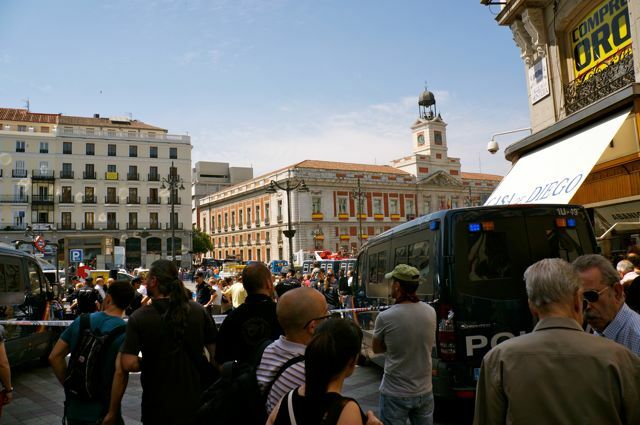 Unfortunately my friends and I meet the same fate as the majority of the crowd; once we near the Royal Palace, we are turned away by police. 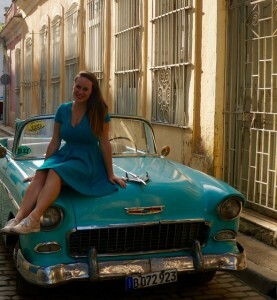 The streets are closed and we cannot find a way in to view the balcony greeting. I, feel incredibly grateful to have seen the king and participate in the excitement of the day. 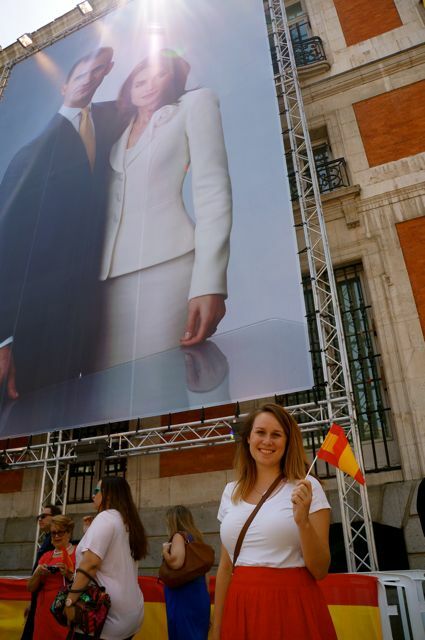 Welcome to the throne King Felipe VI and vive España!